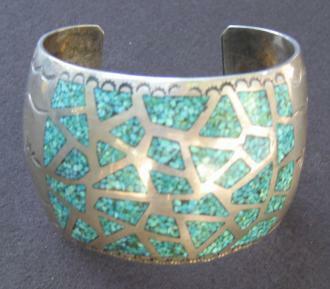 Hand Crafted Southwest Silver and Turquoise inlaid cuff bracelet. Signed "Handmade L. Keeto." 2.63 oz.